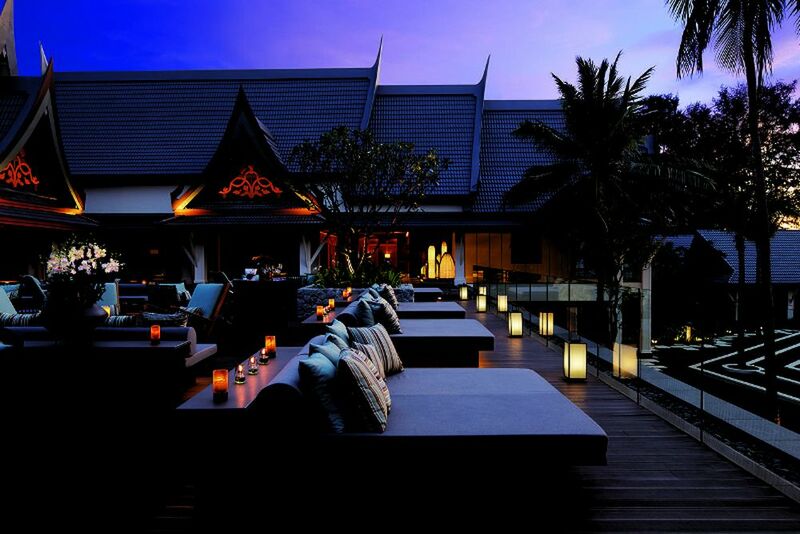 In the evening, the bar invites you to an exotic happy hour. 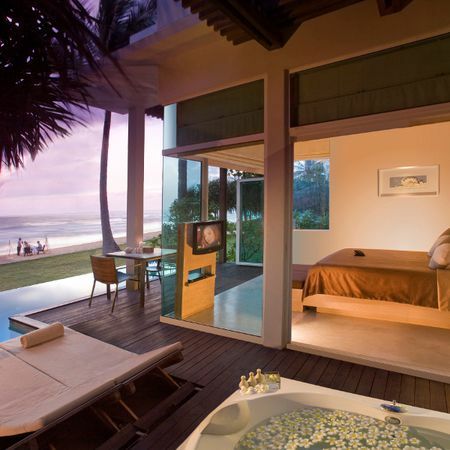 Find the Phuket resort getaway of your dreams! 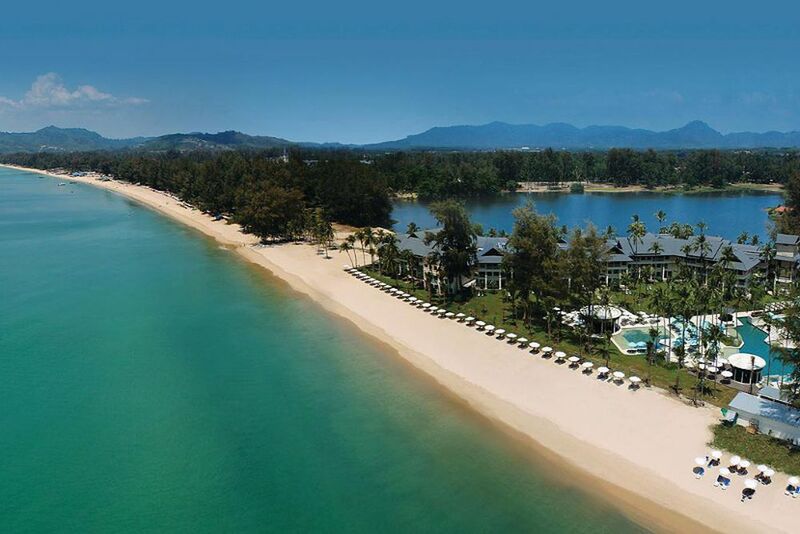 Outrigger Laguna Phuket Beach Resort’s premier beachfront setting at Bangtao Bay is one of the most coveted addresses in the distinctive Laguna Phuket resort community. Come discover it for yourself! 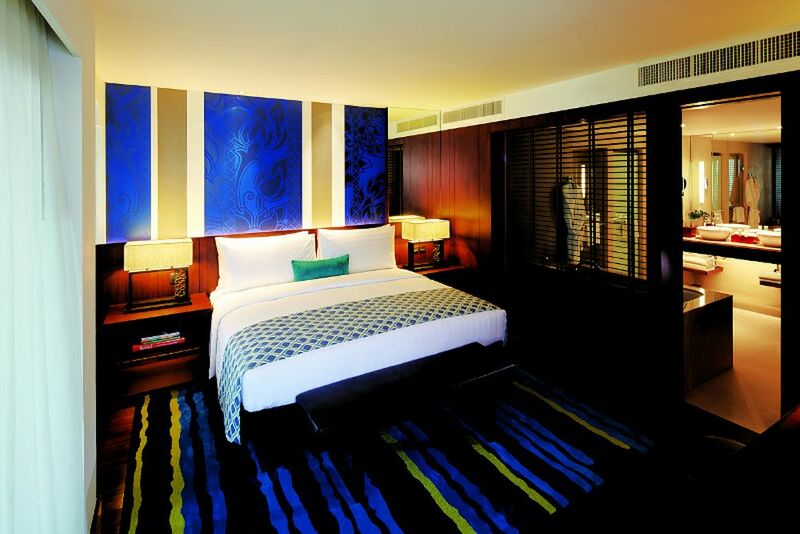 Family-friendly facilities, perfect for your next holiday! Located right on Bangtao Bay’s kilometer-long beach, discover a dream setting where you can either choose to relax or explore the beautiful surroundings. 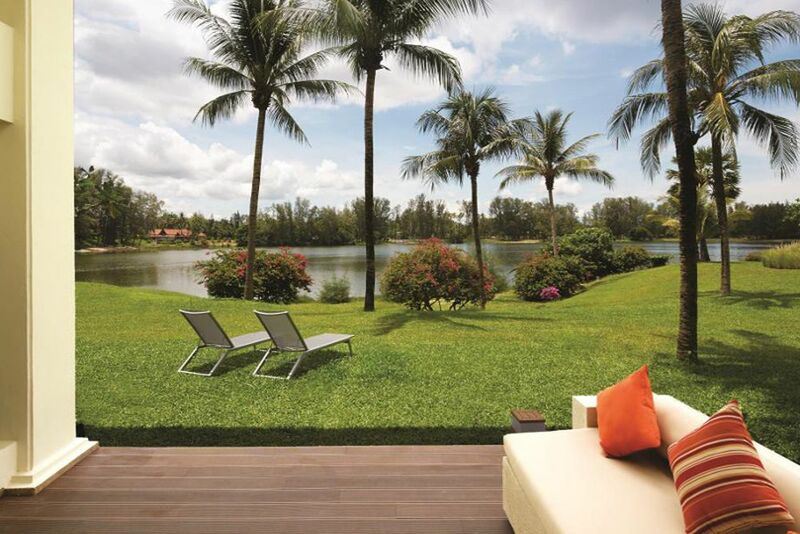 Discover adventure beyond the horizon and experience a signature experience at Outrigger Laguna Phuket Beach Resort. Guests are welcome to participate in a variety of cultural celebrations or partake in the sunset ceremonies every Tuesday and Thursday! The resort is also close to the Laguna District, where you will find over 30 restaurants and bars, so a local shuttle bus and shuttle boat link the Outrigger Laguna Resort to the lively district! 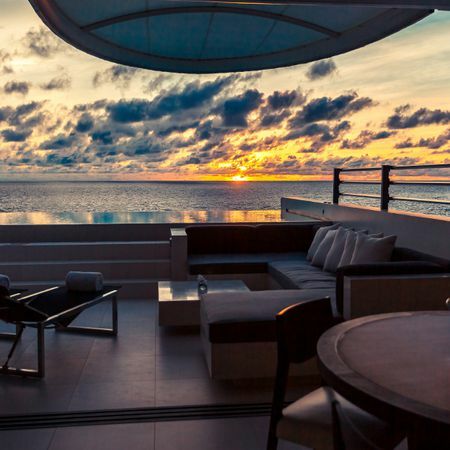 Guests are captivated by the tranquil lagoon, stylish dining inspired by Thai and international cuisine, and exclusive Voyager 47 Club Lounge and rooms for travelers who expect the very best. Envision a romantic wedding at sunset, ocean adventure on the Andaman Sea, or a family holiday with joyful memories you’ll treasure forever! Metzo’s offers a culinary tour of the Mediterranean and guarantees to appeal to the worldly guests that celebrate international cuisine. Locavore’s all day dining offers fresh, local produce within its delectable Andaman seafood dishes full of Asian and European influences. Edgewater is the al fresco beachfront restaurant at the resort’s spectacular swimming pool. Dive into classic midday meals or grilled dishes whilst enjoying the amazing Andaman sunset. Icon Terrace and Lounge is an inviting outdoor and indoor terraced area for you to relax with coffee, cake, refreshing cocktails, canapés and live music by the in-house duo. The pool area is spread over two levels, and even has a fun water slide for the younger guests! Outrigger Laguna Phuket Beach Resort is based on a combination of traditional Thai elements and modern, contemporary architecture. 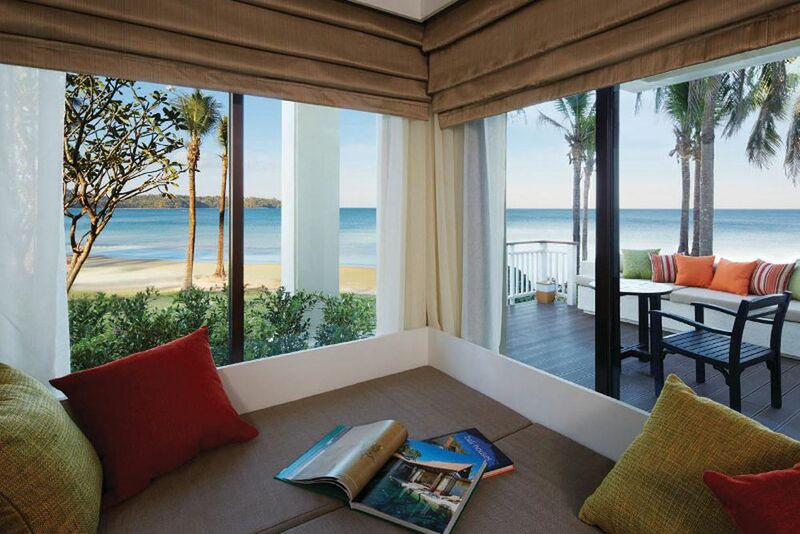 There is a total of 255 rooms that boast incredible views of the beach or lagoon. Amenities include air conditioning, safe, coffee maker, free Wi-Fi, TV, telephone and a balcony. 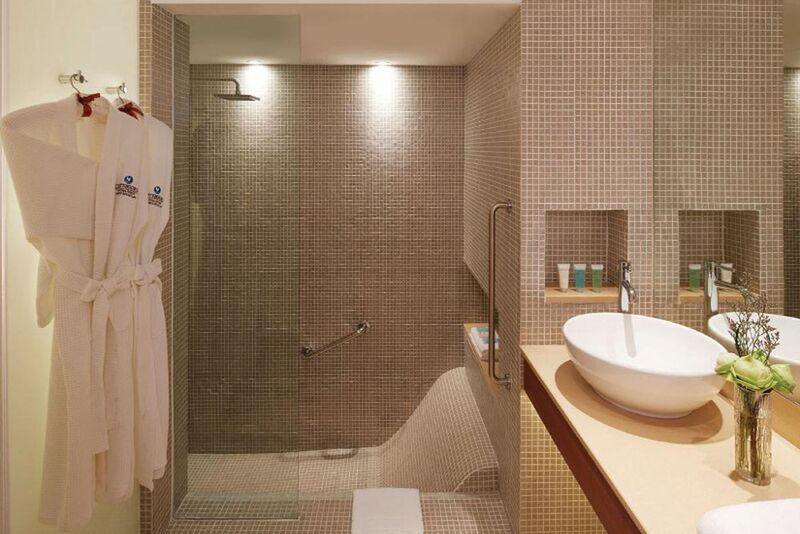 The deluxe rooms are 43 sqm and have an en-suite bathroom with a shower and integrated bathtub. Treat yourself at The Angsana Spa by choosing one of the many massages and wellness treatments. There is a fitness center, tennis courts, badminton, squash and much more!